I am having a blast redecorating my master bedroom into a beach themed paradise. Every time I think I’m almost done I find another project that would add something fun to the room. Lately, I’ve been really into using stencils for projects and after completing my beachy canvas art I thought it might be fun to use them in other aspects of the bedroom. 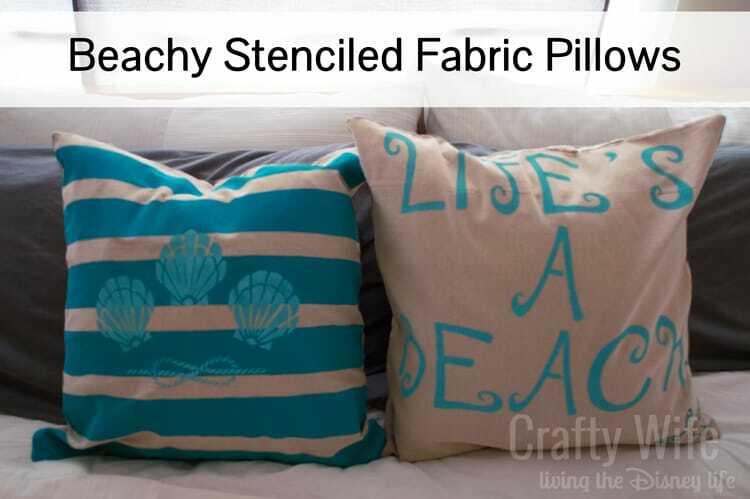 Today I’m sharing my Beachy Stenciled Fabric Pillows. 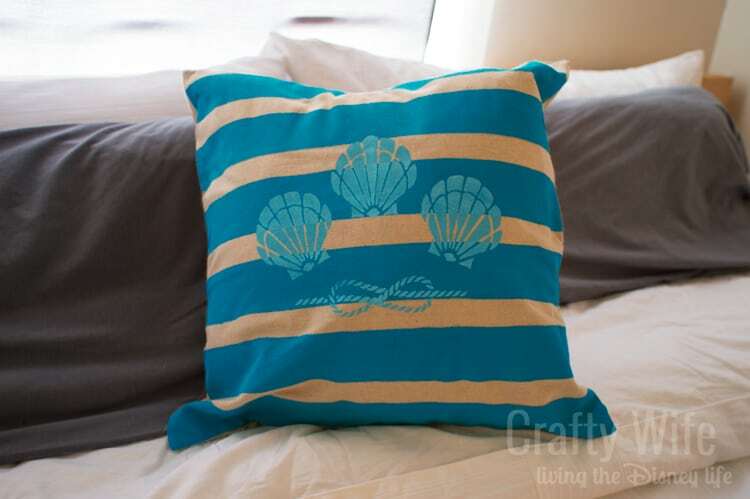 I have seen some gorgeous beach themed pillows at Home Goods and other places, but I couldn’t justify spending a considerable amount of money on them. So I decided to make my own! When looking for supplies for my fabric stencil products, I had a difficult time finding fabric paint at Hobby Lobby. While standing in front of the paint I took out my phone to look up other alternatives. Did you know you could mix a textile medium with acrylic paint so that you can machine wash your project? I had no idea! I let the paint dry overnight before putting the pillows inside the case. That seemed to be more than enough time to let everything set and dry. 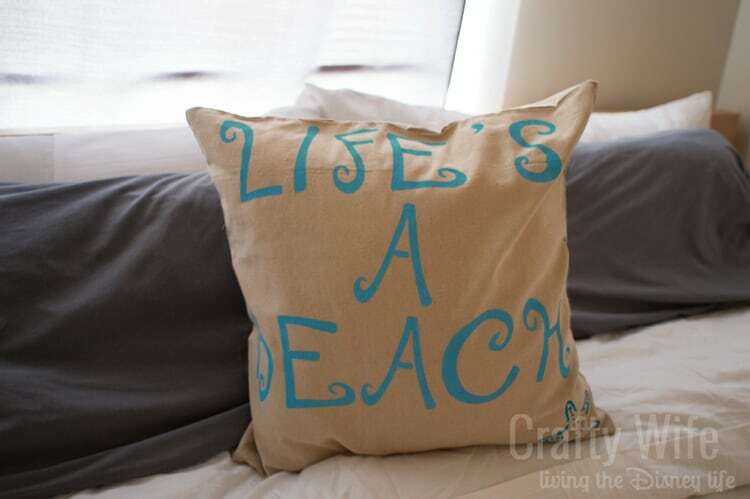 If I could change one thing, I’d probably buy smaller stencils for the “Life’s A Beach” pillow because the letters are just a tad too big. But I really love the pillows and think they look great in the room! I hope you’ll come by and check out everything else I’ve done to our master bedroom so far! I’ve found that I really love using stencils and can’t wait to find another project to use them on. Are you a fan of using stencils? This post was originally shared on Love, Pasta, and a Tool Belt. And don’t forget to fill out the Crafty Wife survey that is going on right now so that we can work together to make you experience on the site a more enjoyable one!